Hey everyone! Super busy month with multiple places to travel to! Sorry for the delay. 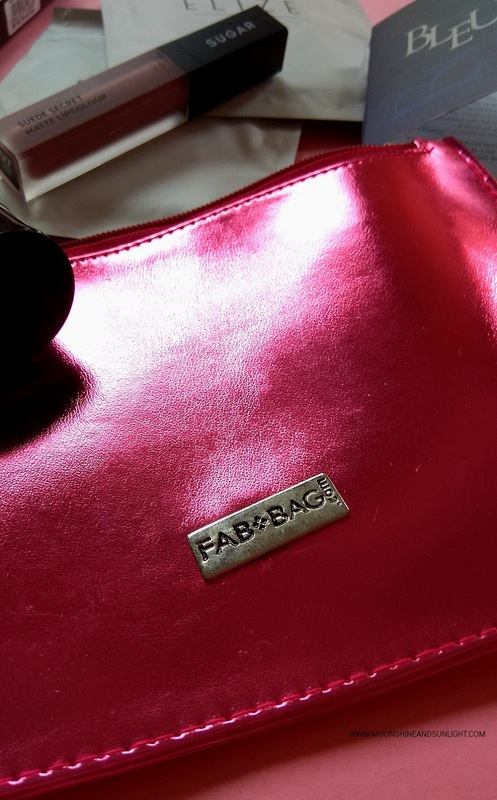 Here is my take on the contents I received in this beautiful pink Fab Bag! I absolutely love the bag! I have been getting attracted to pink metallic anything! I bought a pair of heels in the same color recently. Let's see what's inside! So I have heard a lot about the brand, but haven't tried the products myself! Now that I have these, I will give them a try! There is nothing not to like about perfume samples, especially when it smells like fresh, crisp sea breeze! I selected the color Tweed taupe, when they had sent the link to choose this month's makeup product! I love that this has become a norm with Fab Bag. So that you know what you are getting is something you , yourself have selected! I got a dark green pencil liner! I wanted to buy one! Love when co-incidences like this happens! will let you know what the product is like soon. 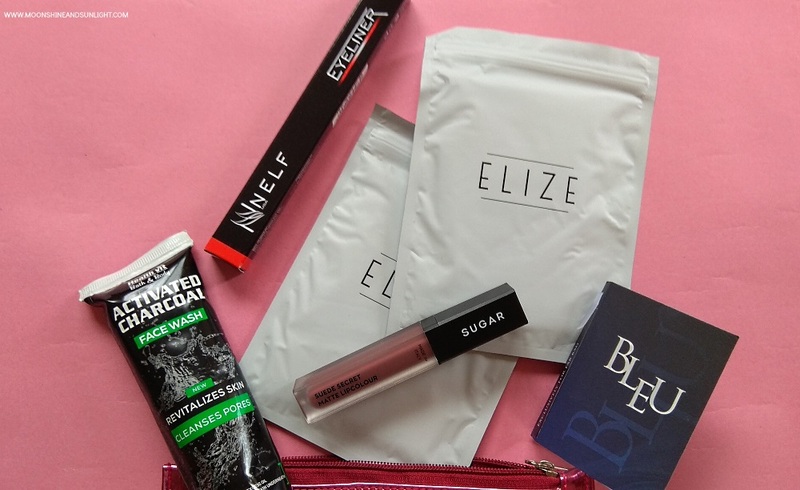 Activated charcoal products are all the rage now, but I haven't tried many. This would be my first face wash with activated charcoal, and I knwo I need something like this to tackle the pollution! Hope this works great! Will let you know! 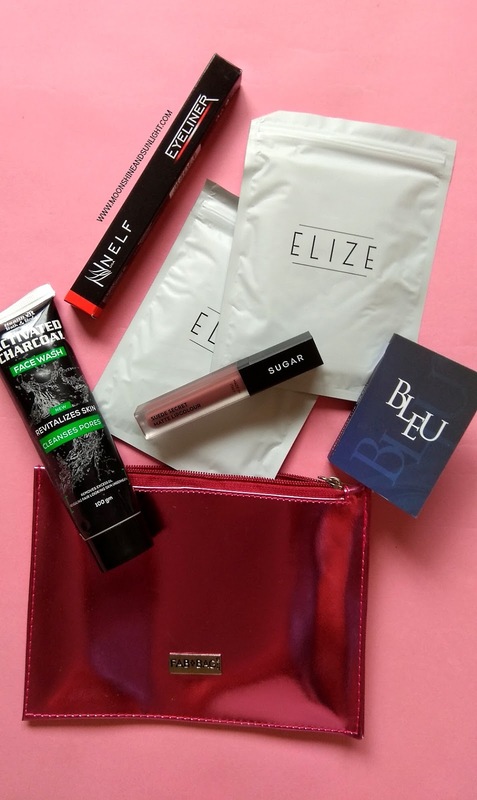 All in all, I love the bag this month! I mean, two full size makeup products and a skin care product for just 599, what's not to like!